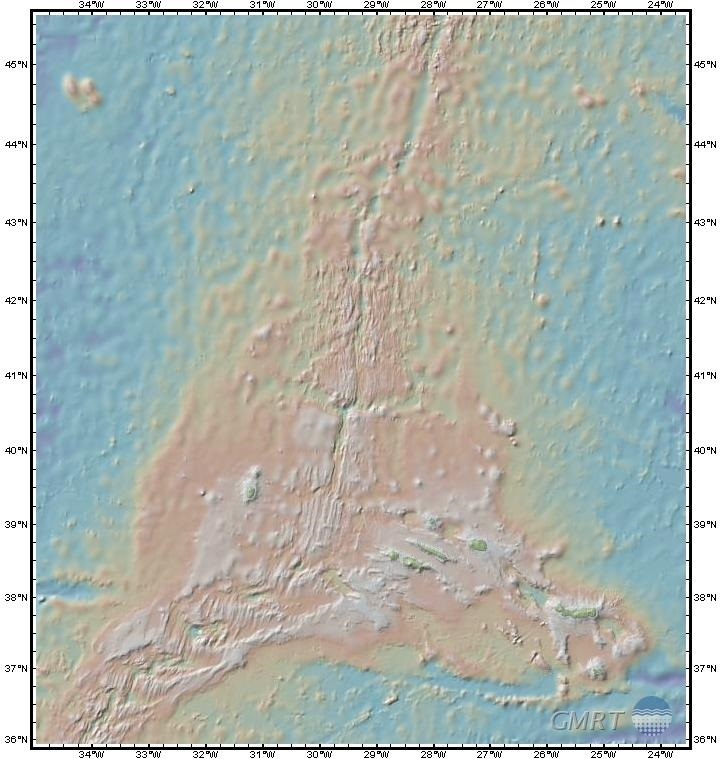 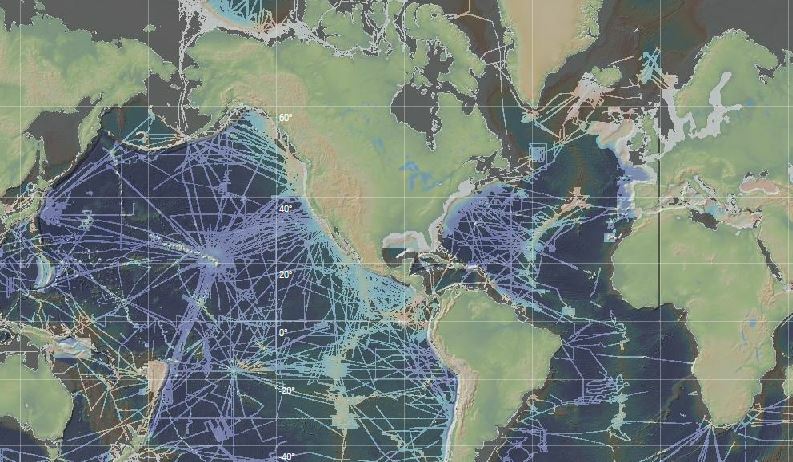 A map showing the tracks of research vessels where more detailed imagery of the seafloor is available. 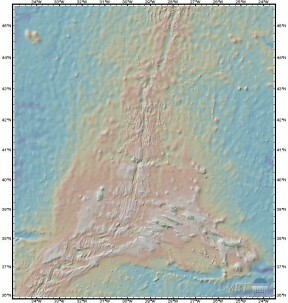 From the Marine Geoscience Data System site. 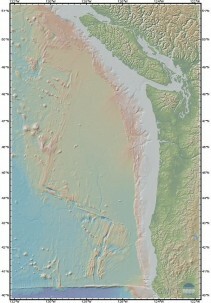 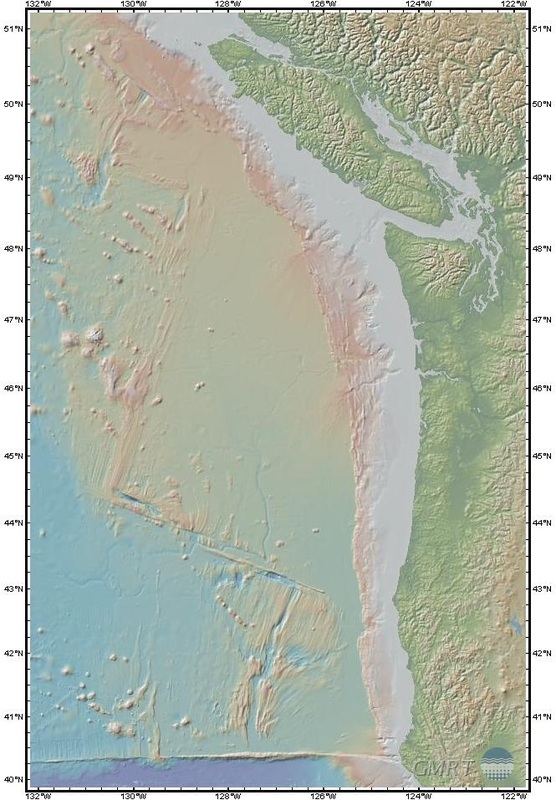 The seafloor off the northwest coast of the United States and southwest Canada. 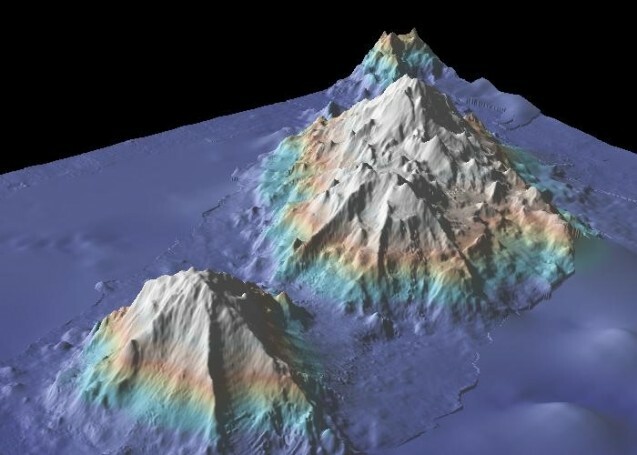 From the Marine Geoscience Data System.